We are excited to have Tracey joining us for her Shattered Globe debut. Tracey’s Chicago credits include: SMASH (Piccolo Theatre), All My Sons (Eclectic Theatre), and The Glass Protégé (Glitterati Productions). She recently completed an acting apprenticeship with Actors Theatre of Louisville, where she appeared in the Humana Festival production of Wondrous Strange. 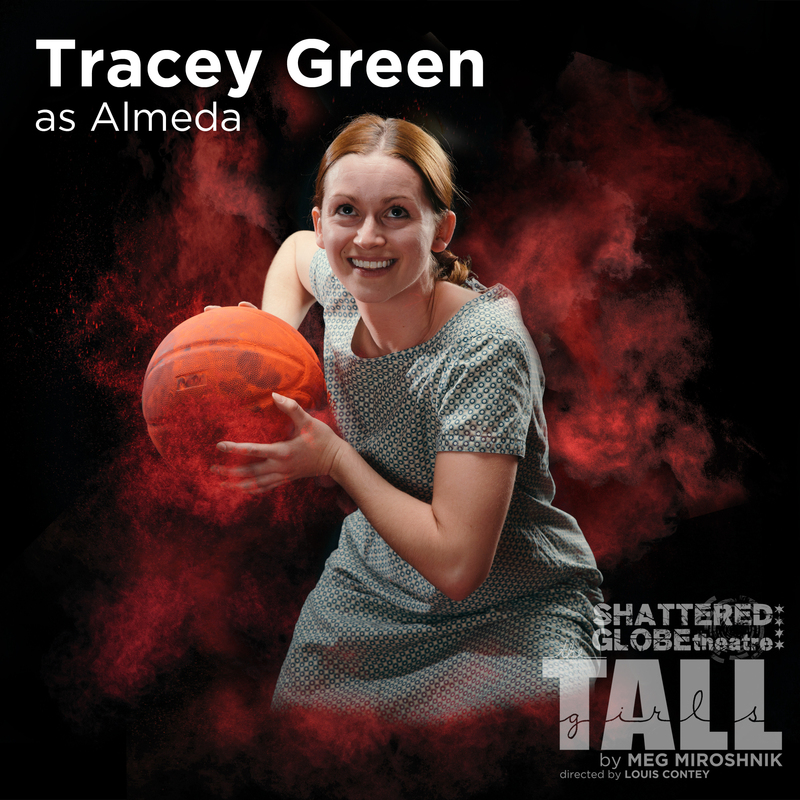 Tracey plays Almeda in SGT’s production of The Tall Girls by Meg Miroshnik. We asked her some questions about her experience with basketball and the inspiration she draws from her character. The only basketball skill I had before beginning this rehearsal process was being able to spin the ball on my finger. Flashy, but not very useful on the court. Are you more of a basketball fan now? I certainly am! Working on this play has made me want to find and join a rec league. Is it challenging to play basketball as part of the show? Oh absolutely. Aside from the pressure of having to make certain shots in order to move the plot forward, playing in the theatre space itself presents its own obstacles. We had to develop all sorts of “contingency plans” to use in the event that things go awry. There’s nothing like trying to keep the ball from sailing into the audience to keep you on your toes! What are some of the most interesting things you learned as a result of doing this play? I really enjoyed researching Babe Didrikson’s life. She was SUCH an incredible athlete, which feels like a huge understatement, considering the wide range of her of athletic achievements. No sport was off-limits to her. She excelled at everything she attempted; not just because she was innately talented, but because she was fueled by a fierce drive and passion. Her practice was relentless and unwavering. She epitomized the term “dedication.” I admire her. Is there anything you have personally gained as a result of working on this production? Perspective. Exploring this play and particularly the role of Al has proven to be a huge reminder of the power of perseverance. Al does not allow her destiny to be dictated by circumstance. She is dealt one obstacle after another after another, but refuses to give up on her dream. She is a fighter. And I am inspired by her fiery spirit and tenacity. My hope is that audiences will feel inspired as well.